The sister of Manchester bomb victim Martyn Hett has been described as a “hero” for getting 11 A*s in her GCSEs. Martyn, 29, from Stockport, was one of 22 people who died when a homemade bomb was detonated after an Ariana Grande concert at Manchester Arena on 22 May. Nikita, 16, took an exam the day after finding out her brother had died, while the family were “completely numb”. She thinks Martyn would’ve been very pleased with her results. “He’d be so happy, he’d be tweeting about it. He’d be more excited than I am,” she said. Her brother Dan Hett said on Twitter she was “an actual hero” and “the toughest person I have ever met”. He recalled the day after Martyn was confirmed as one of the victims: “We were obviously completely numb, fried, drained. We’d been through something absolutely unreal and were all trying to figure it out. 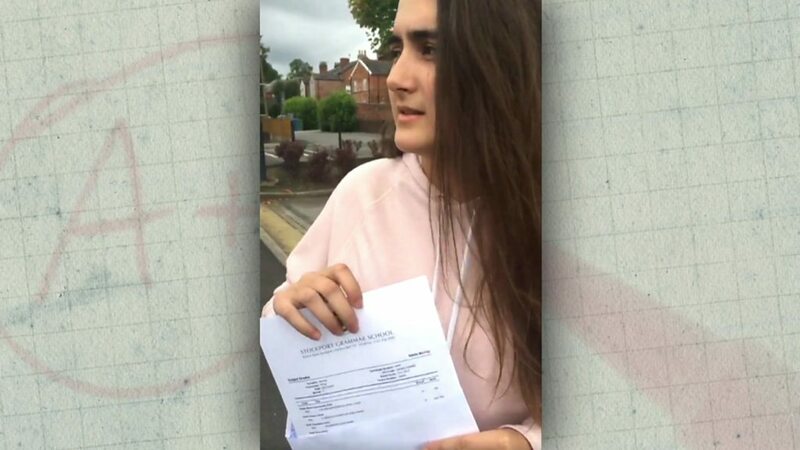 He said he was “utterly amazed” and “floored” the Stockport Grammar School pupil was putting her shoes on “so she could go and sit a bunch of GCSEs”. Nikita told the Press Association she was halfway through her exams when the attack happened. “When we didn’t know where [Martyn] was, I was just thinking that I should probably revise just in case we found him. 10/ in conclusion: my kid sister is the toughest person I have ever met. don't mess with her. be inspired! Head teacher Andrew Chicken said: “We are delighted for Nikita and her family. She has achieved exceptional results and her determination in the most distressing of circumstances is truly inspirational. Martyn Hett attended Priestnall High School in Heaton Mersey, graduating in 2005. He was a Coronation Street superfan and was interviewed on television about his tattoo of the character Deirdre Barlow. Stars from Coronation Street were among hundreds who attended his funeral.